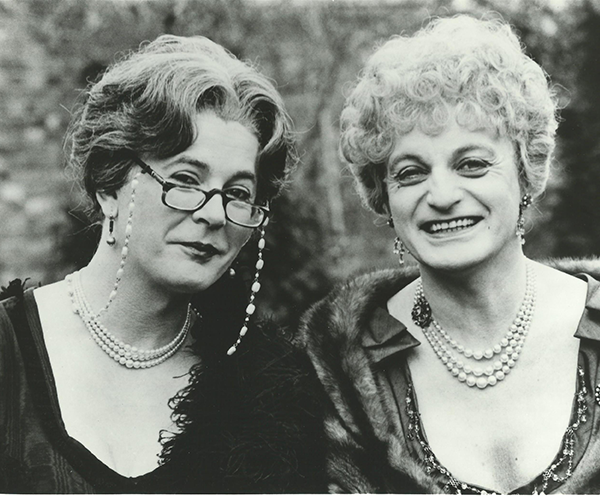 Before becoming famous as Dame Hilda Bracket, performing alongside George Logan (Dr. Evadne Hinge) as the female impersonation duo Hinge and Bracket, Patrick Fyffe was part of Alexander Bridge’s company at the Palace Theatre. He was born in 1942 in Stafford. Many of his immediate family had been active in musical theatre, but he initially trained as a hairdresser and ran his own salon in his home town before turning to the stage. He became a regular star of local amateur productions, but a desire to turn professional took him to London. His early professional appearances included a 1964 production of the musical Robert and Elizabeth at the Lyric Theatre and a 1971 production of the same show at the Alhambra Theatre, Glasgow. 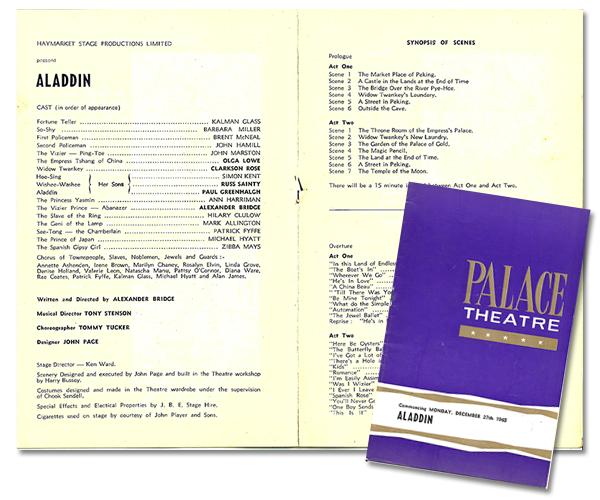 In between these appearances, Patrick acted in rep at the Palace Theatre, appearing in Aladdin (December 1965), The Palace of Varieties No. 3 (January 1966, alongside famous performers Jessie Matthews and Wee Georgie Wood) and Perchance to Dream (May 1966). Success was confirmed following their performance at the 1974 Edinburgh Festival and the pair went on to great acclaim until Patrick’s death in 2002, after which George declined to appear without his partner. 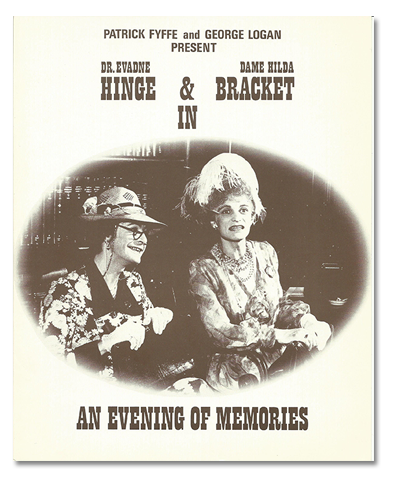 Hinge and Bracket were great favourites at the Palace Theatre, appearing six times between February 1977 (An Evening of Memories) and June 1988 (The Arkley Barnet Show). This page was added by Ian Grant on 21/10/2014.